So who is planning on picking up the new Cold River Soap Works soap tomorrow? I am tempted! This is kinda cool because this will be CRSW first menthol soap I believe. From my knowledge I don't think any of Larrys previous soaps have had this element yet. I am also looking for thoughts on the new lotions, Citrus and Bergamot & Bay are two of my favourite scents and are now available in this format. Not a fan of both citrus and menthol but I am curious to hear reviews about it. CRSW is well liked in the shaving community, I bet those who enjoy these scents would enjoy the performance. I'm looking to pick up the set. 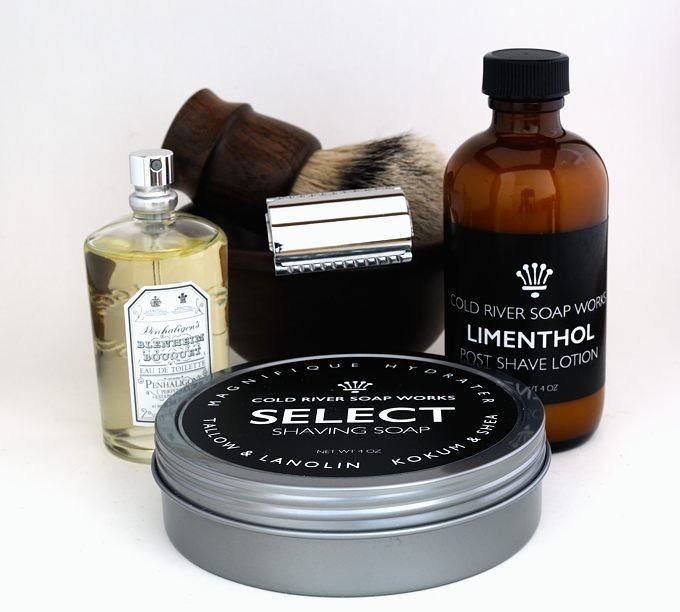 Lime with menthol sound like a nice cool summer soap. I'm also probably going to pick up the Vetyver Fresco set and a Bergamot & Bay Lotion to replace the balm as I like the lotion better. The balms leave my face too greasy. (04-28-2016, 12:51 PM)jsanchez Wrote: I'm looking to pick up the set. Lime with menthol sound like a nice cool summer soap. I'm also probably going to pick up the Vetyver Fresco set and a Bergamot & Bay Lotion to replace the balm as I like the lotion better. The balms leave my face too greasy. I received my Vetyver Fresco soap and lotion last night. Tried the lotion and I thought it provided a great 'face feel' without feeling greasy. IMHO it rivaled B&M's Reserve pre-production sample. I would also put it a notch above Chatillon Lux's toners as well -- no easy feat! I love lime, and I enjoy menthol. But these two together in a soap will be a bit too much. Probably great if you live in very hot place, like Thailand, Florida, South Africa or India. But a bit over the top for even a warm summer day in Denmark. Lime is a sharp scent and not that skin caring, menthol is kicking fresh booster, but not skin caring either. By the way I just mix my Kent Menthol shaving cream or my Proraso Green cream with the shaving soap, if I feel it need a menthol/mint kick. I have some CT toner coming at some stage. So if I grab some of CRSW lotion I can do a comparison. I think you would really like the Oliva Oli,it is a fantastic soap! Oliva is the best of the CRSW formulas IMO. That said, it wasn't particularly special for me. Overall an average soap, but solid.